Located on Taylor St NW between 13th St NW and Kansas Ave NW, Extra Space Storage serves Washington, DC residents near Petworth, Park View, Crestwood, Brightwood Park, Fort Totten, University Heights, and more. Locals will recognize our facility across from the National Library Service for the Blind and Physically Handicapped. Extra Space Storage is about 1.4 miles from Howard University, 2.4 miles from The Catholic University of America, and 2.8 miles from University of the District of Columbia, so we're a convenient self storage option for college students in Washington, DC. 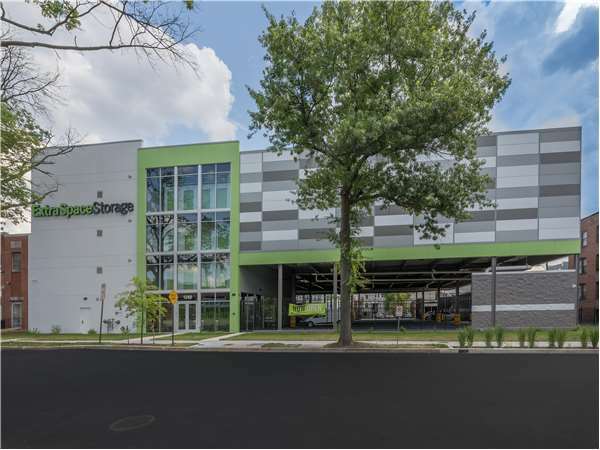 With a wide selection of storage units, exceptional security, climate-controlled storage, and drive-up access, Extra Space Storage on Taylor St NW is the storage partner you can depend on in Washington, DC! Our Taylor St NW storage facility offers unit sizes from 25 square feet to 300+ square feet with first-floor access, elevator access, and drive-up access. We have the storage solution that will work for your needs! The security of your items is a top priority. With exceptional security features like electronic gate access at our Washington, DC storage facility, you can store valuable items with peace of mind at Extra Space Storage. When storing delicate items in Washington, DC, climate control is highly recommended! Climate-controlled units stay between 55 and 80 degrees year-round, preventing damage caused by extreme heat and cold. Units with drive-up access offer the ultimate convenience! You can pull up a vehicle to quickly unload and load items without hassle. Looking for secure vehicle storage in Washington, DC? Some drive-up units at Extra Space Storage in Petworth can even be used to store vehicles like cars and motorcycles. When you choose Extra Space Storage, you can expect reliable self storage with exceptional customer service. From our clean, well-maintained facility to our friendly, professional team, we work hard to deliver an incredible experience. Contact us today to reserve a storage unit in Washington, DC!